If you’re like me, it’s easy to look in the rear view mirror and lament what went wrong during the previous season and think about all the “could ofs,” “should ofs” and “only ifs” as I plan for the next. 1. Improving the Entrance into the Yard. Visitors who came through the gate in 2014 were met with a raised bed supported by rotting railroad ties whose 5-inch nail spikes stuck out. The step down into the yard was deep, making it awkward and potentially dangerous. I said goodbye to the ties and installed interlocking stone that coordinates with the stamped concrete patio. An added step provides a more natural distance down into the yard. 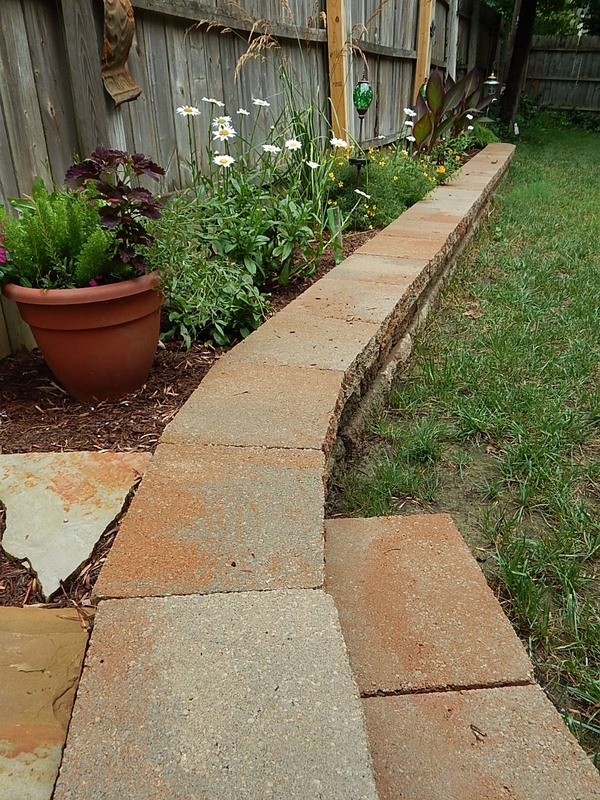 The addition of a step off of the raised area, makes stepping into the yard easier. 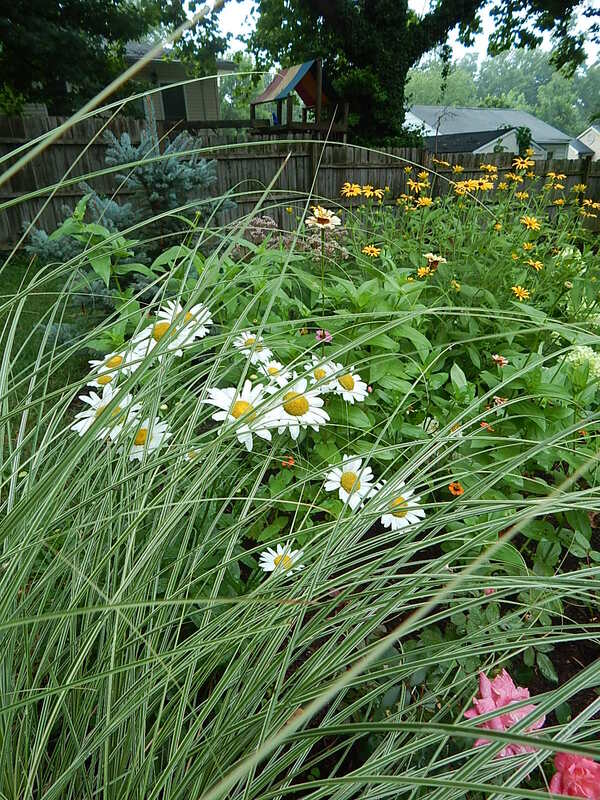 The shasta daisies are transplants from a friend, as are the cannas. 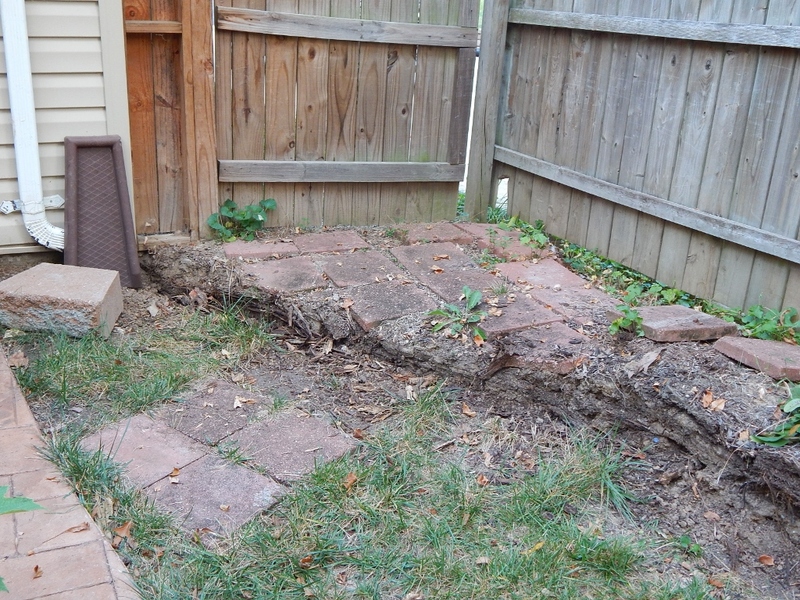 Goodbye rotted railroad ties. The previous entrance to the backyard. 2. Attending the Garden Bloggers Fling in Toronto. Okay, this is technically not in my garden, but I’ll extol the virtues of expanding your network to anyone who enjoys gardening. First, who doesn’t like a garden tour? 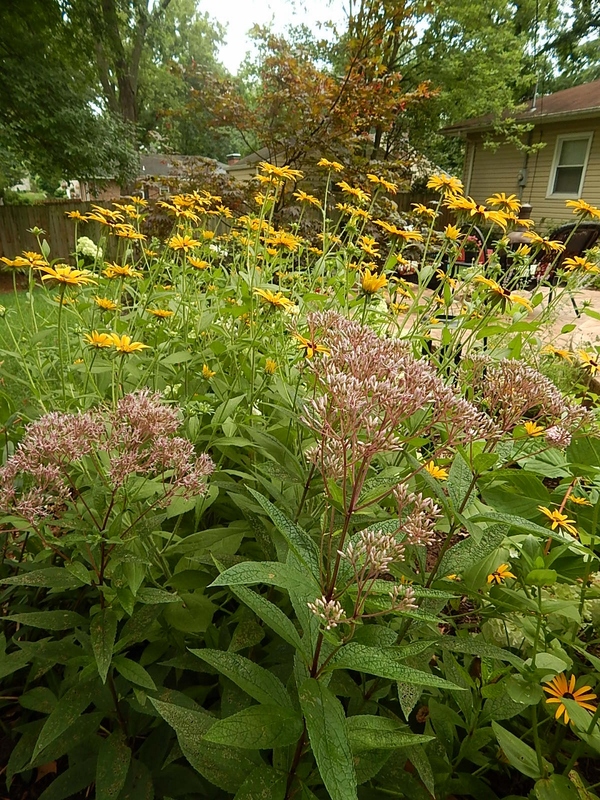 The Fling was a 3-day-plus extravaganza of garden tours. This experience allowed me to learn first-hand from other gardeners–hobbyists to the pros–what they are doing in their gardens and public spaces. It was an outstanding way to expand my thoughts on gardening and meet many of the people behind the blogs I so enjoy. The Fling has me thinking more seriously about natural resources conservation, starting a vegetable garden, composting and the joys of connecting with those who share a common passion. A rooftop garden overlooking the Toronto city skyline. 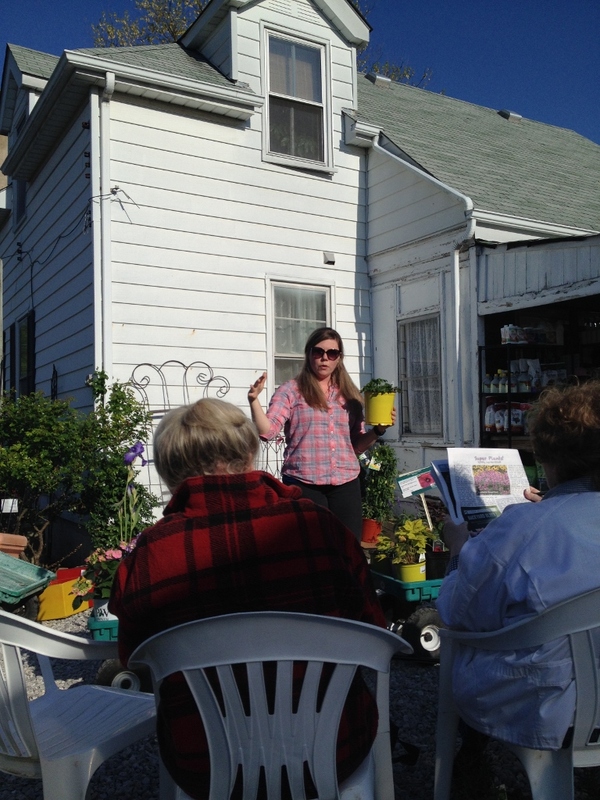 The Garden Fling provided multiple venues to learn about gardening, sustainability, conservation and plant selection. Claire Jones, author of the Garden Diaries blog, takes time to appreciate the offerings at a city nursery in Toronto. 3. Installing a new bed along the south fence. Outside of raising children, nothing teaches patience like gardening. I may be planning and planting for four-season beauty, but each garden season (spring/summer/fall) is just one cycle and it took me several cycles to finally get to the south fence. I enjoyed sitting on the patio looking at this lovely, lovely shade garden. The caladium take center stage in the bed in September. The honeysuckle trailing over the fence from my neighbor’s yard was a welcome guest. Freshly mulched, the south fence bed in June. Japanese forest grass, heuchera various fern, hosta, creeping Jenny, solomon seal and astilbe provided lots to look at all season. 4. 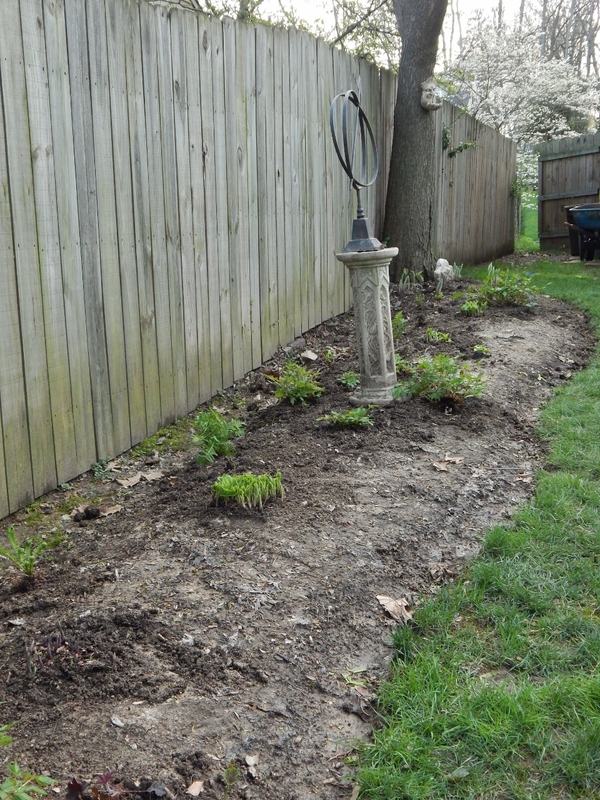 Edging the Beds. 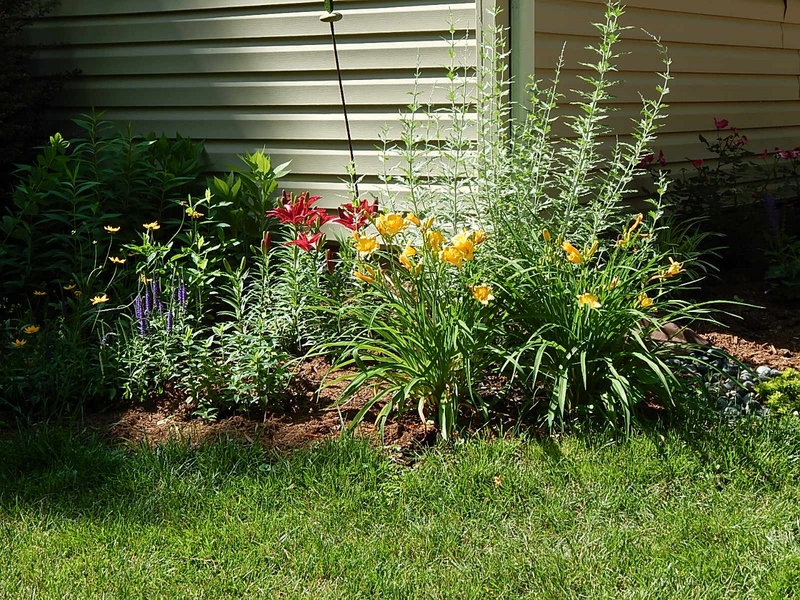 What a difference a seemingly small task makes in giving a garden bed a finished look. I considered installing metal edging, but instead opted for the back labor (someone else’s, as I hired this job out) to cut a nice edge around my main garden beds. 3. Plant division. Want to save a little money? Get more of a plant you just love, love, love? Fill in a space in the garden bed? Share with a good friend? 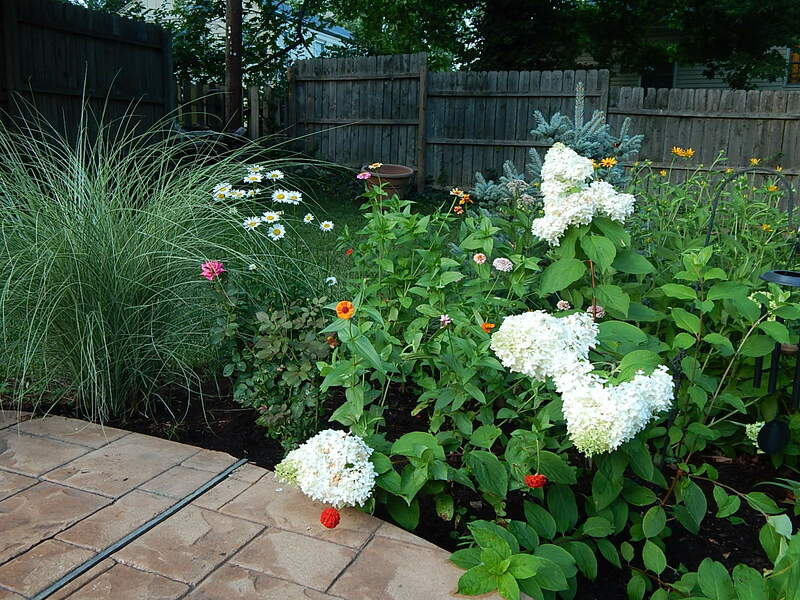 Improve your garden design and color balance? Two words: Plant division. 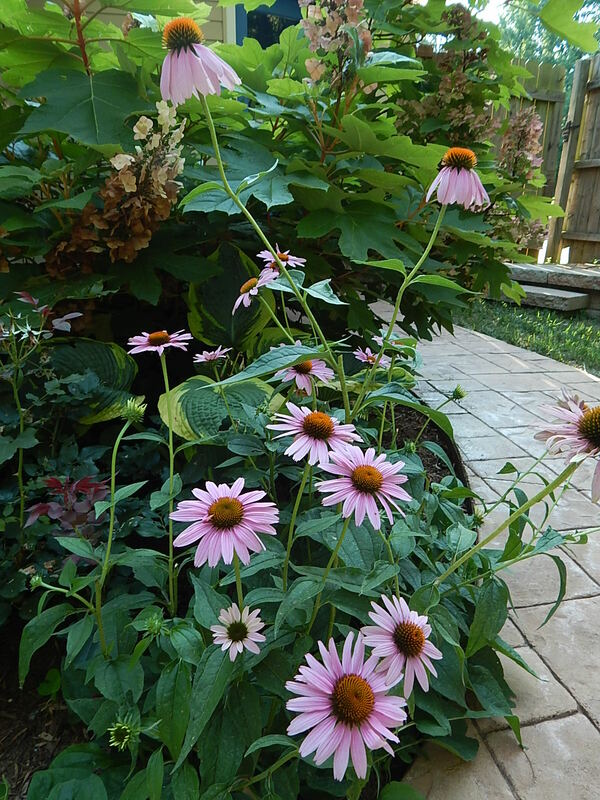 First purchased from the Webster Groves Women’s Garden Club plant sale, these purple coneflower have been divided and added throughout the gardens. 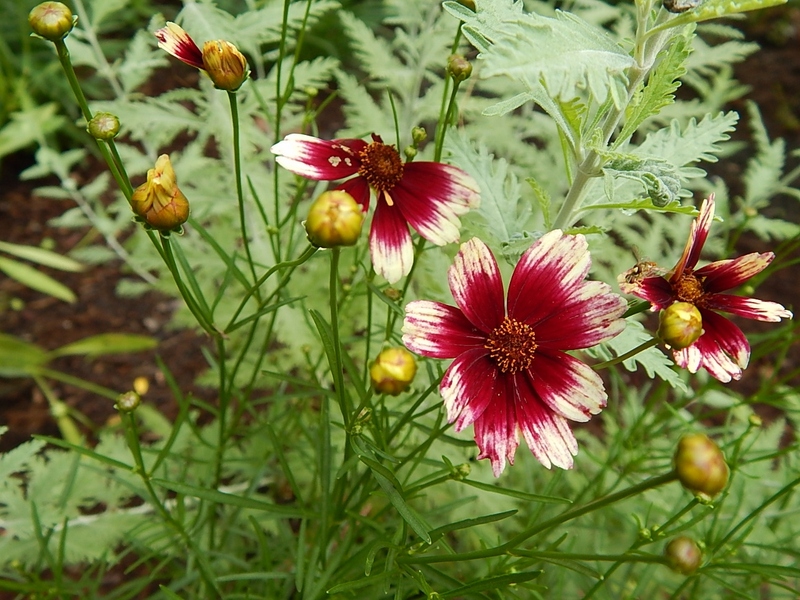 Self-seeders, they quickly and easily multiply. 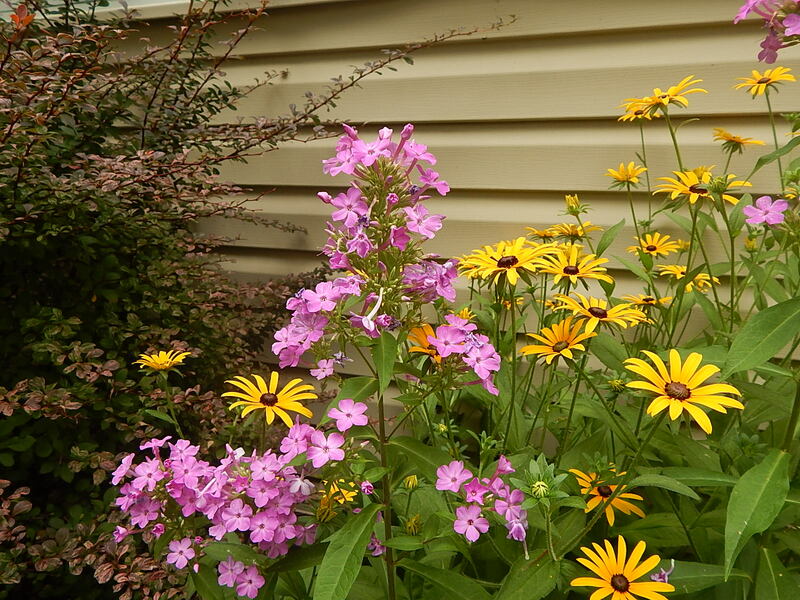 The black-eyed Susans in the foreground have three homes in my yard. Profusive in Zone 6, I gladly divide them to share with friends. Categories: Beyond Arch City, Musings | Tags: astilbe, caladium, fern, Garden Bloggers Fling, hardscaping, heuchera, hosta | Permalink. I don’t know my diploids from my haploids or my tetraploids. But I do appreciate a perennial that blooms like crazy. And when it comes to garden favorites such as clematis, lavender, hosta, tall garden phlox and oh, so more it’s all about the tetraploid. That’s breeder speak for hybridizing plants that Super Bloom. And while long-lasting, seemingly never-ending blooming plants at one time were elusive, thanks to the smarts of breeders gardeners are able to sit on their patios and enjoy their favorite hydrangea in bloom all that much longer. Sugar Creek Gardens Nursery owner Abby Lapides Elliott offers a show and tell of some of her favorite Super Plants. I learned about this and more on a warm, clear-skied Thursday evening when I attended my first after-work (actually after- dentist) gardening talk at one of my local nurseries. I receive e-newsletters from a few of my favorite local plant purveyors. They are usually quite informative, including information on the local weather conditions and its impact on plant diseases and planting times, the specialty plants they are carrying and educational sessions they are hosting on a variety of topics of interest to the home gardener–everything from pollinators to planting under trees to natives to today’s talk on Super Plants. It’s smart marketing for local garden centers to differentiate themselves from the big box stores by inviting special guest speakers to host fun/educational events that bring their customers together. I had not been to one of these special events before because the nurseries I visit most often host their events either during the day when I am at work or at 5:30, when, foremost in my mind is getting home or completing post-work errands. Today was different. After a less than enjoyable dental procedure I decided to stop in at Sugar Creek Gardens Nursery to treat myself. Lo and behold they were about to begin a session on Super Blooms, hosted by Sugar Creek’s owner Abby Lapides Elliott. Abby didn’t go into too much scientific depth but did illustrate her informative talk by explaining that modern breeding using tetraploids (four times the haploid number of chromosomes in the cell nucleus) means that gardeners now have access to plants that boast not just a long-lasting blooms, but plants with beneficial and favorite traits combined that, for example, come in an amazing color, can tolerate geographic conditions, resist diseases, have larger or smaller blooms or foliage, and more. Think hydrangeas that can be incorporated into a mixed garden more easily because they grow only 2 to 3 feet tall versus the more traditional size of 6-plus feet; agastache that is resistant to deer, rabbits and drought; bubblegum pink phlox with giant blooms and resistant to powdery mildew; or native heuchera crossed with traits that result in a variety that is more tolerant to heat and humidity. Of course, there is no free lunch. I came away from this short, 30-minute session armed not just with more knowledge but several plants for the garden beds. And given their improved traits, I’m not complaining. 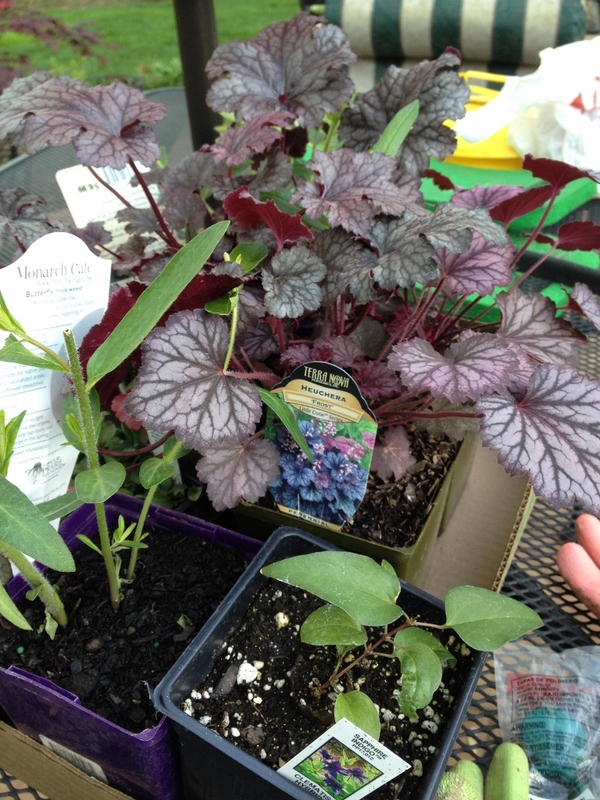 Categories: Musings | Tags: agastache, heuchera, hosta, phlox, Plant breeding, Sugar Creek Gardens Nursery | Permalink. Astilbe circle the base of the concrete stand. 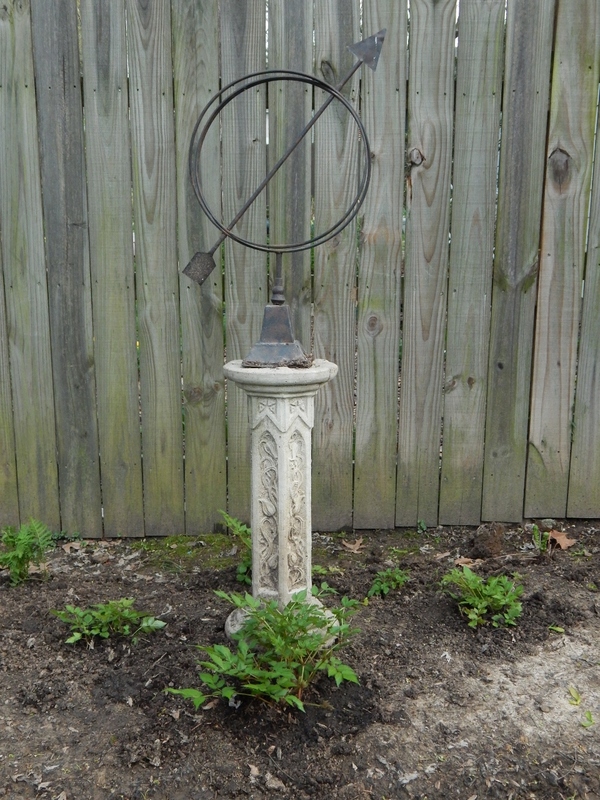 I placed the armillary sphere on top as a last-minute gesture. My original plan is to put a container oozing with plant atop the stand. But I do kind of like this look. It’s just after 6 p.m. My fingernails are filthy, my shoes are muddied (and in the garage), I have hat hair, my lower back is talking to me, and the shade garden bed that I dreamed about all winter has begun to take shape. It was a very good day in the garden. The long view of the bed, looking toward the top of the bed. 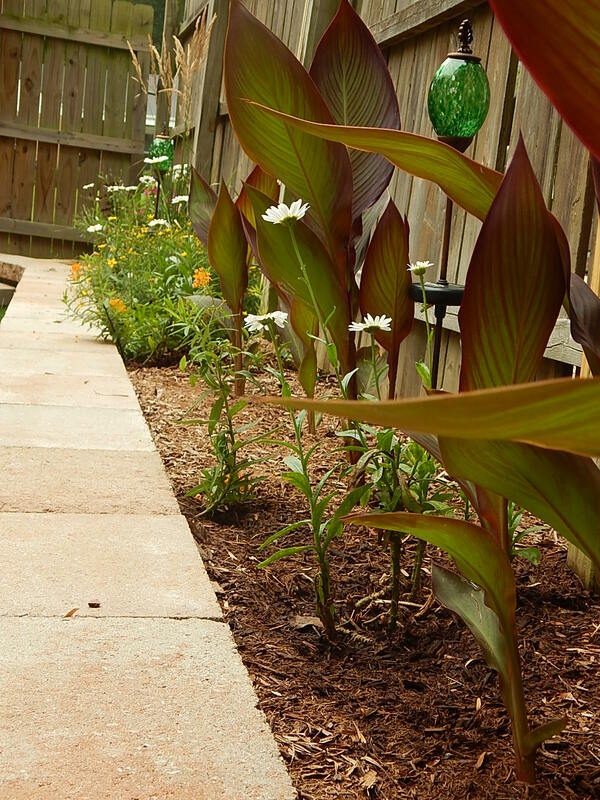 There’s plenty of room remaining for the caladium bulbs on order and Japanese forest grass. And as time goes by, I think I will add more heuchera to the front. Astilbe Chinensis “Visions,” featuring a raspberry red plum. Ostrich fern (Matteuccia Matteuccia). Placed in the back of the bed in front of the fence because they can grow five and a half feet tall. Hosta “Frances William.” This is one forgiving plant because I have moved it three times in three years and it seems unfazed. Heuchera “Plum Royal” and “Marvelous Marble.” The Ruffled Lime I planted last year have not reappeared. to dig up several transplants from her yard early in the week and I was able to get it in before the torrential rain this past week. It has doubled in height in the one week it has been in the bed. Still to come: Caladium “White Queen,” Japanese forest grass (Hakonechloa macra) “Aureola”, creeping jenny. And mulch, lots of mulch. Dear readers, how does your garden grow? 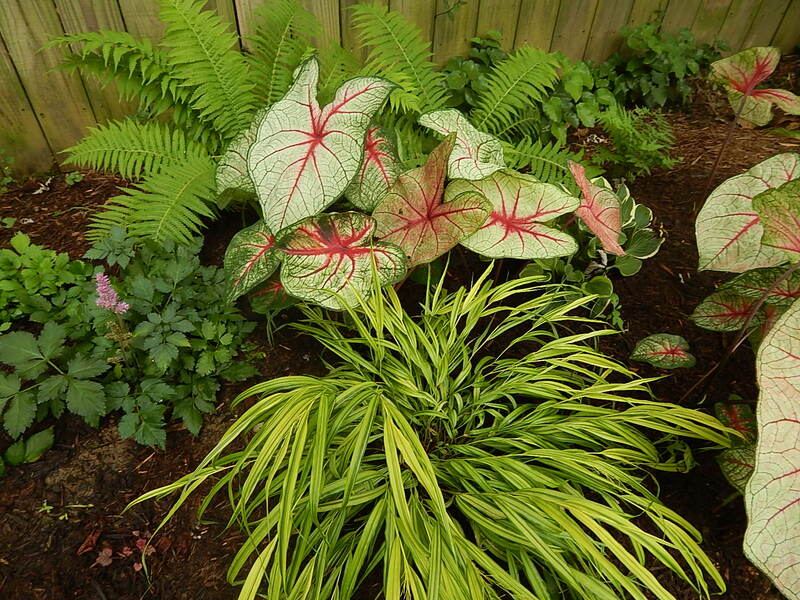 Categories: Musings | Tags: astilbe, caladiums, creeping Jenny, Hakonechloa, hosta, Japanese forest grass, Ostrich fern | Permalink.